The Great Grand Master YANG Yun-song 楊筠松 put the two phrases above in consecutive manner in his rhymed folk song titled the “Dou-tian Bao-zhao Jing” 《都天寶照經》. JIANG Da-hong 蔣大鴻, a Ming’s government official candidate, gave his disoriented explanation in his master thesis, the “Feng-shui Corrections” or “Di-li Bian-zheng” 《地理辨正》. Since then, people were trying to figure out what is this “Castle Gate Method” in Feng-shui and how does it promise and deliver prosperity when applying in the right time and space. Among the best of all, in his booked titled “Further Explanations to ‘Feng-shui Corrections’” or “《地理辨正》續解”, WEN Ming-yuan 溫明遠 interpreted as having the lucky star in the Castle Gate direction. “The Castle Gate Method – An Untold Secret of the Great Grand Master YANG” reveals the secret of how to determine the usefulness of the “Castle Gate” by leading you through logical approach as well as a full description of what other so called “Water Placement” methods are like. Back to the very basic of Feng-shui … Describes how “Water Placement” relates to the “River Diagram” or “He-tu” 《河圖》 and the “Book from the River Ruo” or “Luo-Shu” 《洛書》. Describes the Dragon Gate Water Placement Method which is a typical method derived from the respective positions of Trigrams between the Congenital Ba-Gua, and the Acquired Ba-Gua. Describes one of the popular Water Placement Method, a method which is primarily based upon the theory of Triplicity of Wu-Xing. 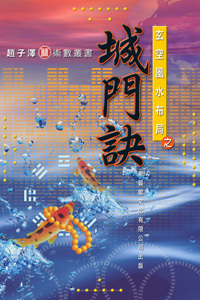 There derives the “Jiu-Pin Huang-Quan” 《救貧黃泉》 and the “Sha-Ren Huang-Quan” 《殺人黃泉》. Describes the most Secretive Water Placement Method … which primarily based upon a set of trigrams that derived from a designated Trigram related to the sitting and facing of the property. There derives the “Wu-Gui Yun Cai” 《五鬼運財》. Describes a special method of Water Placement which is related to just the Officer of a Hexagram. Describes the derivative and application of the Castle Gate Method, the only method that described in YANG theory. Exploring the Water Placement Method which is known to be practiced by Dhuta SI-MA during the Tang Dynasty. This book is written for people who want to find the origin of Water Placement as described by the Great Grand Master YANG Yun-song, and for those who want to find how YANG’s Energy theory applies in Water Placement.